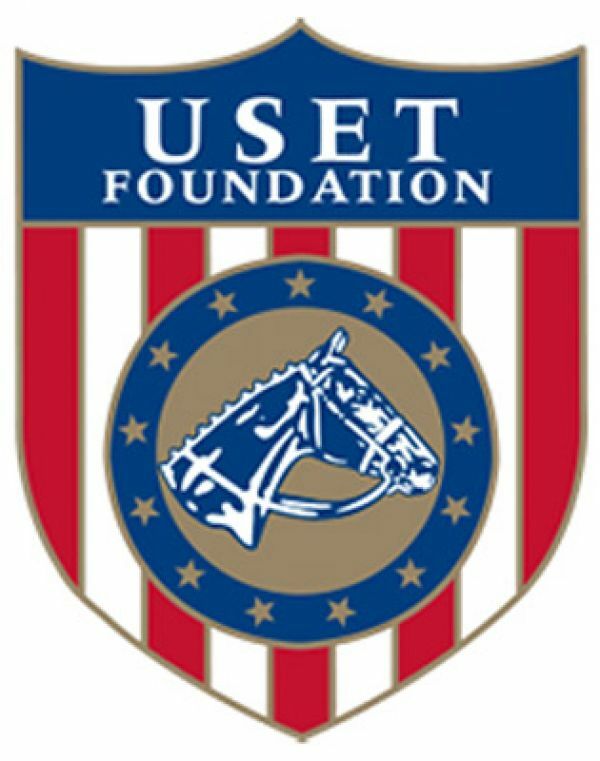 Antioch, IL - June 16, 2015 - Day two of the United States Equestrian Team Foundation's George H. Morris "Gladstone Program" at Annali-Brookwood Farm began early at 7:30 am with Morris in the irons, quietly starting flat work with Kelly Smith's horse. Alone in the ring, Morris put the bay thoroughbred mare to work while the curious riders started to file into the indoor arena to watch. All you could hear was the horse's breathing and it's hoof beats, as Morris transformed the horse into a soft and correctly shaped frame by the end of his ride. Without a word, Morris had taught the riders yet another lesson in flat work. By 8:00 am, riders were mounted up and began working in serpentines and figures of eight, trying to apply what they had just witnessed. Morris emphasized that figures on the flat such as volte, figure of eight, turn in reverse and serpentine should be in every rider's vocabulary and school. The exercises carried forward the message from day one's work of impulsion and getting the horse to accept the inside leg at every gate and in transitions. George Morris demonstrated raising the base of the neck of the horse. Riders were asked to do flying lead changes on a straight line and because of the previous flatwork of the serpentines and figures, the horses were light enough to execute it. Morris noted, "Of course it's great to have good horses and it's hard to participate today without good horses, but riders have to be curious about every aspect of the horse to be good." The Gladstone Program offers riders opportunity to learn more than just sitting in the saddle. Morris went on to tell a story. "I was in Wellington watching the hunter schooling ring from the grand prix ring. I saw one horse in that ring that looked like it was being ridden correctly. I couldn't make out who it was, but I was curious as to who it was. So I walked to the hunter schooling area to watch and it was Carl Weeden." Weeden, with her husband Rush, are the facility hosts and owners of Annali-Brookwood Farm. Morris told the group to watch the influential riders like Jennifer Alfano, Carl, Hunter Holloway, Tori Colvin and Diane Carney's riders. Morris added they are consistent winners and have been for decades because their horses are properly cared for first in the stable, then ridden with impulsion. The groups continued with jumping exercises, starting with the caveletti as the bridge to jumping. The ancient gymnastic, as Morris called it, was the trot jump with the 9' trot rail to a vertical. The groups then practiced the serpentine with four jumps, working on the same diagonal aids as the flat work to accomplish the task. Morris concluded with his famous line heard in clinics across the country, "Perfect practice makes perfect." In the afternoon session, anatomy expert Dr. Deb Bennett continued her discussion about collection and anti-collection. She showed the riders a slide to help explain how anatomy affects proper shape of the horse when ridden correctly. The focus was on the horse's loin and spinal cord and the ability of the horse to raise the base of his neck. This was a continuing theme from day one's work with the model bones of the horse to explain the horse's movement. Dr. Bennett's discussion on collection is illustrated in these two slides. Dr. Bennett also expressed how passionate she was about horses having a good time being engaged in the work they are asked to do, and the riders enjoying the horse. She expressed that every horse needs creativity, not the same identical experience of horse showing week after week. If a horse is only showing, it is getting numb. She concluded with the concept of training as getting the horse to want to do what you ask with their joy and expression being primary. Riders then set the course for the next day and spent time in the barn with their horses under Jennifer Alfano's watchful eye. Riders continue on day three with the next stage of gymnastics and discussion on conformation; form and function with Dr. Marvin Beeman from Littleton Animal Hospital in Colorado. The Gladstone Program is an intensive week of training and education for exceptionally dedicated and talented show jumping riders who are serious about their interest and desire to pursue a path that will prepare them for international competition. The training session continues through June 20, 2015. Auditors are welcome 8:00am to noon daily.